Property/land law disputes and litigation. Wills, trusts and probate disputes. – Professionals’ breach of duty. Our specialist civil litigation team has many decades of experience and expertise. We have earned a high reputation not only with our clients but also with our fellow professionals. We have a team of solicitors who are very experienced in property and land law disputes and litigation. We can advise you on a wide range of disputes, tribunal applications and court proceedings in respect of both commercial and residential property. Our specialist solicitors act for a wide range of people who become involved in such disputes including freehold owners, landlords, tenants, occupiers and neighbours, whether they are limited companies, partnerships or other sole-trader businesses, private individuals or Housing Associations. – Tenancy deposit claims for return of deposit and payment of penalties for breach of deposit rules. – Enforcement of positive covenants through the doctrine of mutual benefit and burden [Our Mr David Scott was involved in one of the leading cases in this area in the Court of Appeal : Thamesmead Town –v- Allotey]. We will always act in your best interests with a view to achieving a speedy and cost-effective resolution of such disputes. Under the present court rules, court proceedings must usually be seen as the last resort after all other reasonable methods of trying to resolve the dispute have been attempted. We can assist you with such Alternative Dispute Resolution (“ADR”). However, if ADR is not successful (some opponents are so unreasonable that it is not possible to conclude a reasonable agreement) or is not appropriate (eg where there is a need for urgent action) then we will act for you and guide you through the court or tribunal process in contested proceedings. In all cases we will provide you with clear and detailed advice on the likely costs involved (including disbursements such as court fees and barristers’ fees) for the various stages of the case, so that you know from the outset your likely costs commitment. We feel that this is especially important so that our clients are able to budget accordingly and so that they can make informed decisions and assessments based on a costs : benefit analysis. Contract disputes – business and private. Negligence and nuisance : eg arising from damage to or trespass to property by neighbours or third parties. Professional breach of duty – eg negligence by accountants, architects, barristers, solicitors or surveyors. 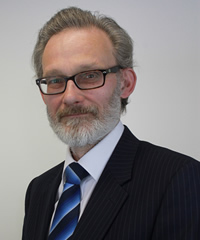 Our specialist team of solicitors who deal with such disputes are assisted and supplemented by Swayne Johnson’s very large team of lawyers in the non-contentious Private Client team who deal with wills and trusts, probate, intestacies, Court of Protection, deputyships and Lasting Powers of Attorney. We are specialist solicitors who deal with commercial, employment and intellectual property disputes. We have significant experience of dealing with such cases both for businesses/employers and employees/individuals. Our legal work mainly involves handling the disputes and conflicts that organisations or their employees encounter. This often involves undertaking litigation vigorously, but also involves finding commercial and practical solutions, frequently and in highly contentious situations.